RecruiterNetworks.com has re-engineered the difficult and time-consuming structure of job websites to provide a better, easier, and more comfortable solution. The RecruiterNetworks.com platform provides each city with its own unique portal: www.BostonRecruiter.com, www.NewYorkRecruiter.com, www.MiamiRecruiter.com, www.AtlantaRecruiter.com, etc. Users now have a one-of-a-kind resource which will enable them to easily find jobs in over 1,000 top US cities. Miami Lakes, FL, January 15, 2019 --(PR.com)-- RecruiterNetworks.com, the largest owner of career websites, has launched the only city specific digital job platform with the goal of eliminating the high level of clutter and frustration that presently confronts jobseekers when using the job websites presently available. Today’s career websites typically encompass all jobs available in every city in the USA presented in one giant pile that the jobseeker must dig through to find the jobs in their city. RecruiterNetworks.com has re-engineered that difficult and time-consuming structure to provide a better, easier, and more comfortable solution. The RecruiterNetworks.com platform provides each city with its own unique portal: www.BostonRecruiter.com, www.NewYorkRecruiter.com, www.MiamiRecruiter.com, www.AtlantaRecruiter.com, etc. Users now have a one-of-a-kind resource which will enable them to easily find jobs in over 1,000 top USA cities. Users of RecruiterNetworks.com platform simply select their city of interest and then browse jobs only in that city. The entire network currently contains almost 16 million jobs nationwide. Today jobseekers of all ages want a fast and efficient method of finding the jobs available in the city in which they live. 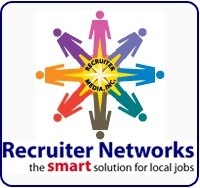 The RecruiterNetworks.com state-of-the-art system delivers on that hope while meeting the additional criteria of allowing the jobseeker to select from over 75 different job categories to narrow down his or her search and target the types of jobs that matter most to them. Additionally, the platform allows the jobseeker to set-up job alerts which allow for new jobs listed on the platform, which are pre-screened to meet the preset criteria, to be sent to the jobseeker’s computer, phone or tablet. Once the job alerts are reviewed, the jobseeker may automatically apply to a selected job instantly from his phone or other device. To accommodate any non-English speaking jobseekers, the platform handles over 100 different language choices, so any person may easily read and apply to jobs on the platform. RecruiterNetworks.com has been serving jobseekers, employers, recruiters and immigration attorneys since 2001. All jobseekers’ features are free. There is no cost to register, browse and apply for jobs while using RecruiterNetworks.com in over 1,000 cities. The initial response of the www.RecruiterNetworks.com digital platform has been overwhelmingly positive. The company has gained a tremendous number of new users who are seeking a better method of allowing them to focus on their city and is easy to use.